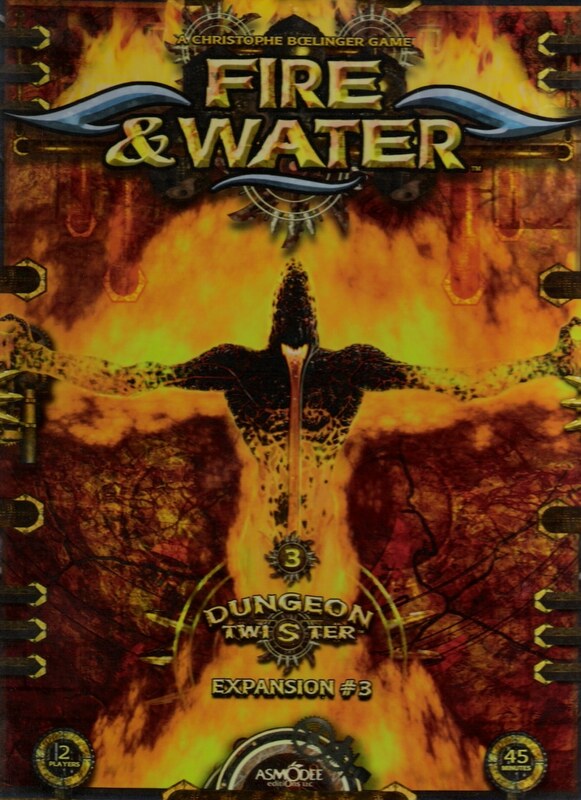 Fire and Water is the third expansion in the Dungeon Twister series of games. 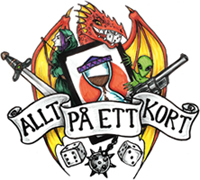 It includes 8 new characters, 6 new objects, and 8 new rooms. The English edition includes 2 additional bonus rooms (”P2”) that feature new terrain: The Lava Channel and Lava Evacuator. Lava Evacuator: This 4-space obstacle connects to Lava Channels and controls lava flows on the map. Whenever a player has a 5 AP card visible on top of his/her discard pile (last card played), all Evacuators on the map are activated and fill the Lava Channels. Lava Channel: This feature is considered normal floor until the Lava Evacuators are activated, at which point the channels become impassable to all characters, except the Fire Elemental and flying and incorporeal characters [who may cross, but not stop on, the lava flows].